Leaders in the campaign for safer San Diego streets. Join San Diego's leading community of road safety advocates and help improve local riding conditions for as little as $35 a year. Getting San Diego to adopt and use national standards for street design that better protect the most vulnerable users of our roads. 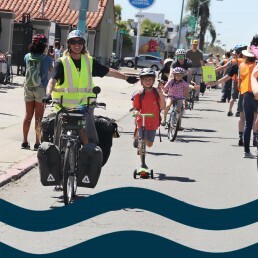 Pushing the City of San Diego to build more separated lanes so people aged 8-80 feel comfortable riding our streets — whether bike, scooter, powered chair, skateboard, or whatever they roll with. Together we advocate for lower speed limits on San Diego streets, a proven strategy for lowering injury rates and saving lives. 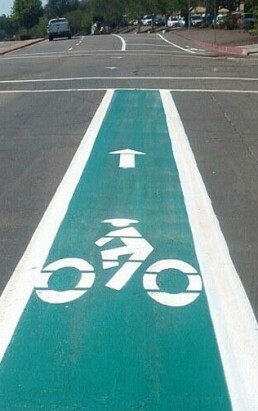 Grassroots pressure to get long-stalled SANDAG bike lane projects back on track and completed. Gathering the natural alliance of street users: the disabled, elderly, cyclists, scooter users, walker, the economically disenfranchised, and transit riders to create healthier and safer spaces for all of us. Your experience and your voice can become a powerful force for transforming San Diego into a city with more options for safely getting around. 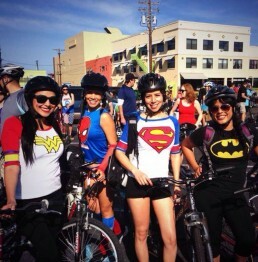 Get on BikeSD's mailing list to keep up with the latest.